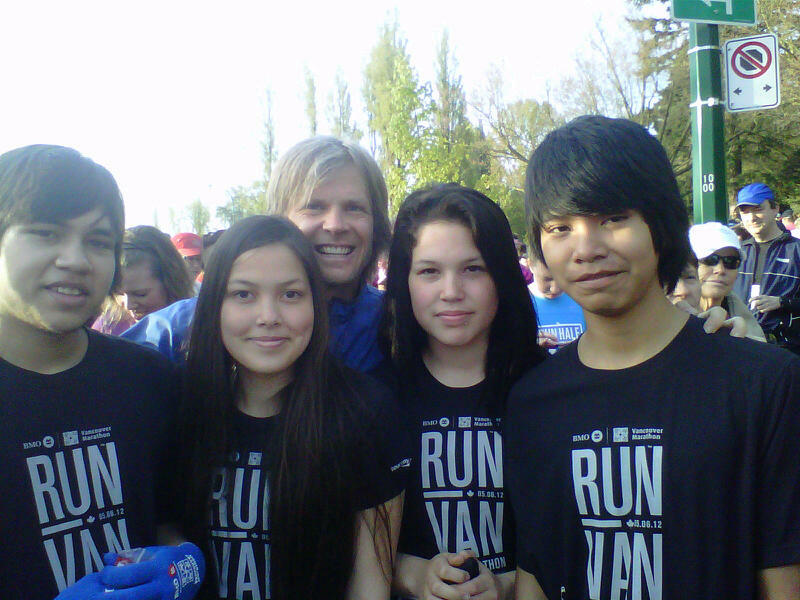 Home > Uncategorized	> Vancouver Marathon Success!!!!!! The sun was shining and so were all 17 students who summoned the courage to don their bibs and head out on the brand new Vancouver Half and Full Marathon courses. It was incredible to see such determination and commitment from all the kids. Some eased through their races and some struggled – but the main thing was that no matter how beat up they were – they willed themselves to completion. Couldn’t be more proud of all the kids. Here’s a photo of the half marathoners before the race. Full marathon photos to follow.